Respected military historian flying high! 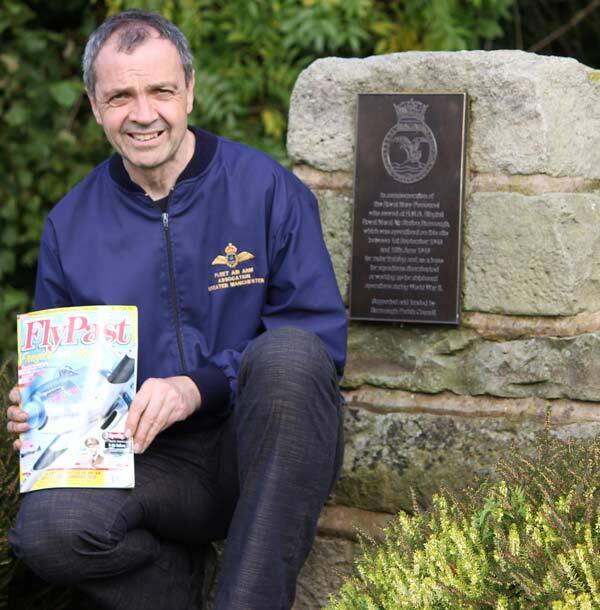 Ormskirk’s Lawrence Critchley, co-founder of the Lathom and Burscough Military Heritage Society, is having a major article published in a leading aviation magazine. His feature on HMS Ringtail (Royal Naval Air Station Burscough) details not only the its history but also how local people and the town of Burscough and the surrounding area have taken its history on board. Lawrence first became involved in its history in 2000 when he campaigned to have a memorial erected to honour those who served at the air station. The monument was constructed and stands on a grass verge off Pippin Street, Burscough. Now, each November 11th sees an Armistice Day Ceremony held there at 10.45am and everyone is welcome to come along, with refreshments afterwards. Meanwhile, the Society’s organised a military heritage evening at Burscough British Legion on Tuesday 20th of November 7pm – 9.30 pm when it can help friends or relatives researching who were in the armed forces. There will also be information on the rich military heritage of our area. Copies of the Fly past article will also be available. The article will be published in December’s Fly-Past in good newsagents from November the 1st. It can be bought directly from the publishers on 01780 480404 or from www.flypast.com – downloadable copies can also be bought from the same website. THIS week, we profile Lathom and Burscough Military Heritage Society co-founder Lawrence Critchley. Last year, Lawrence joined forces with Richard Houghton to establish a new military heritage society. Lawrence, who is from Ormskirk, is an expert on the wartime aerodrome HMS Ringtail, on the outskirts of Burscough. As a teenager, Lawrence was inspired by his father’s job as an RAF flight engineer, and joined the air cadets. In 2000, Lawrence launched a campaign to establish a permanent memorial to HMS Ringtail by the old airfield at Ringtail Place, just off Pippin Street. Four years later, Lawrence’s hard work was realised, and a monument dedicated to HMS Ringtail was unveiled. He was duly made an honorary member of the Fleet Air Arm Association. The Royal Naval Air Station at Burscough was built in 1942 and HMS Ringtail commissioned the following year, on September 1. During the war, British and American pilots flew Supermarine Seafires, Fairey Fireflies and Curis Hellcats from HMS Ringtail. Many of the airmen sank pints in the nearby Bull and Dog Inn.